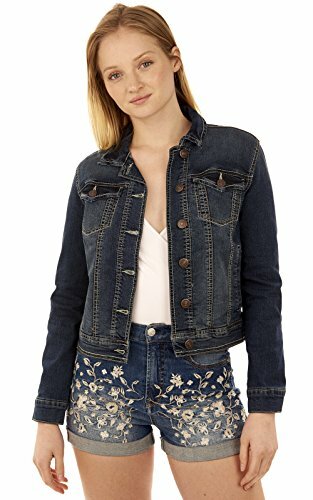 What are the best jackets for teenage girls? I hear you are looking for some cute jackets for teen girls today? Teen girls love to wear cool jackets! The best jackets for them need to spell ‘cool’! *This is a fun (not to mention ultra cozy!) crazy bug with huge eyes design white fleece jacket for teen girls! Usually teenage girls like to have a few cool and unique jackets in different colors and designs so they can match their outfits when they are getting ready for school. They also make excellent Christmas gift ideas for them! It is the perfect season to wear a cool brand-new jacket! 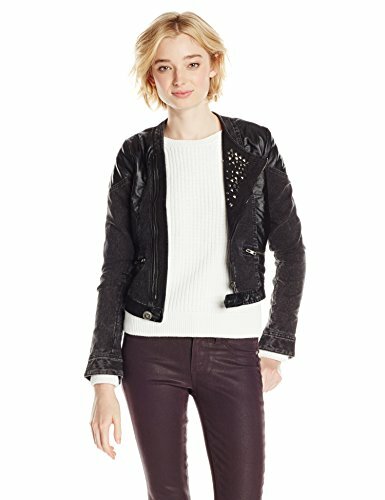 Very Cool Black Jacket for Teen Girls! 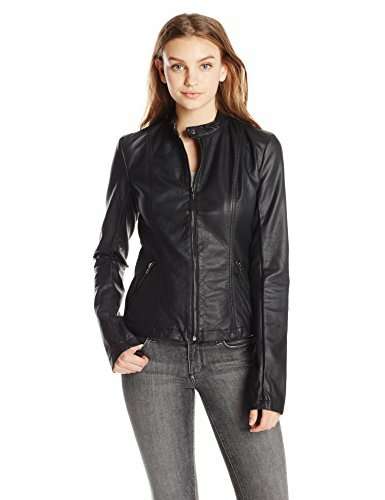 This is an ultra-cute motorcycle style faux-leather jacket for teen girls with cool zip pockets and band collar! It goes amazing with black jeans and black boots! Cute LOVE Message Cotton Jacket for Teenage Girls! This gorgeous dark gray color cotton teen girl jacket has a beautiful LOVE message to all of us! It’s a cute and colorful heart balloons with the word LOVE written in big letters. Looks amazing with a pair of jeans and cool sneakers! 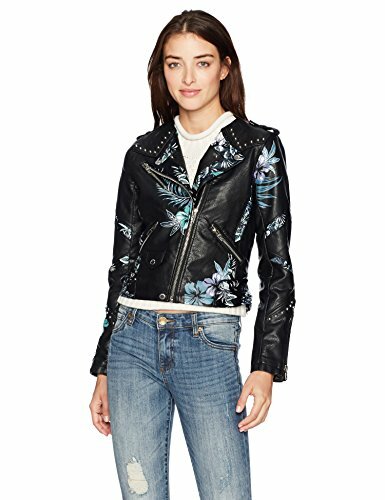 What a beautiful and very cool floral print ‘moto style’ jacket for teen girls! I love the cute blue flowers design! Great Christmas gift idea for your teenage girl! Fun Fleece Jacket for Teen Girls! This is a funny ’embarrassed face’ drawing design white fleece jacket for teenage girls or any ladies with a nice sense of humor. It’s very cozy and warm! As you can see it looks amazing with skinny jeans or leggings! You can complete your look with a cool pair of combat boots! Gorgeous Juniors Moto Jacket: Cute and Casual! It will complement any look! Great to have over a cute and colorful tee and a nice pair of jeans! Love the two zippered pockets too! Great to carry your money! Beautiful PINK Leather Jacket for Teenage Girls! 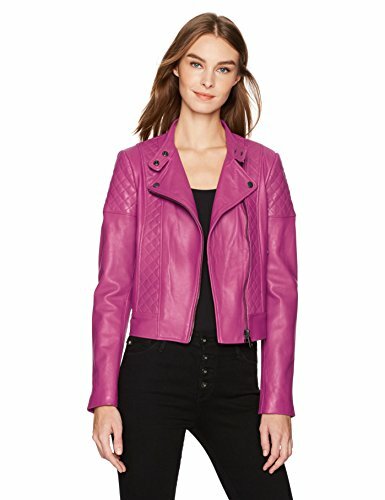 I love this gorgeous pink leather quilted moto jacket with zipper closure! Looks very warm and cozy to wear too! 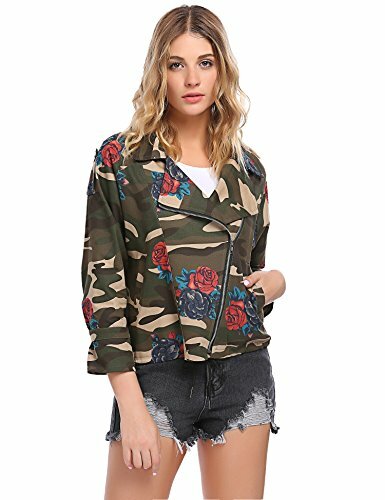 How cool is this camouflage print cute jacket for teen girls? Is it beyond cool or what? I love the cute flowers too! Great gift idea for your teen this coming winter! Cool Looking Snowboarding Teenage Girl Jacket! 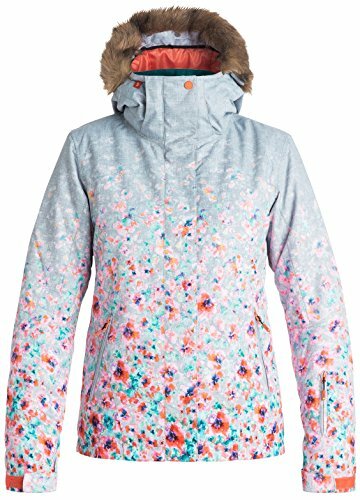 This is one of the coolest snowboarding hooded jackets for teenage girls around! It’s fun, it’s lightweight and it is full of cool zippers! I love the fun gradient floral print! Cute Denim Jacket for Teens! This cute denim jacket will definitely make you stand out from a mile away! It’s so fashion! (Not to mention very affordable!) It goes great with shorts, skirts and pants. *I hope you enjoyed my selections of cute jackets for teen girls from this page and were able to choose one for your daughter! Cool Hoodies for Teenage Girls! Cute Boots for Teen Girls!